Most fees are calculated as a percentage of the value of the property you’re buying, so the more expensive the property, the higher the fees. In Australia, the housing sector – buying or building – plays a major role as both a stimulator and an indicator of economic stability for the states and for Australia as a whole. Because of this the government charges can vary regularly – moving both up and down. Property sales in Australia do not all come under the one set of legislation handled by the Australian Federal Government. Each state has its own government departments for land and property, and also its own branch of the Real Estate Institute, and the Law Institute. Therefore there is no absolute uniformity in real estate agents' fees, solicitors' fees for conveyancing, government fees for handling the registration of property sales or stamp (transaction) duty on the purchase itself. Neither is there any absolute conformity in the documentation used. The federal government does not really play a part in property deals though in times of economic stress it may offer an incentive to buyers in order to stimulate the market. It can also consider the value of a property when eligibility for social benefits or pensions are concerned. The Goods and Services Tax (GST) is sometimes applicable on the sale of land, and sometimes on the sale of new houses. If dealing with these ensure that the offer and the contract state quite clearly whether GST is applicable and if so whether it is included in the selling price. The normal sale of a house by the house-holder does not attract GST but if an investor owns a few properties and decides to sell them it is likely that a GST of 10% on the sale will apply. This is a federal government tax. The state governments do make charges and gather a fair portion of their income from properties. Different names are used such as ‘stamp duty’ and ‘transaction duty’, for when a property changes hands and these are paid by the purchaser. These usually vary depending upon the value of the property and can start as low as 2% of purchase price for a property bought for $300,000 up to 5% for a property costing $500,000. These rates differ between states and also fluctuate according to the economic climate. There are various online calculators you can use to find the current rates for your state. The states also make charges for handing and stamping various contract or transaction forms with the charges being roughly between $30 - $100 for each operation. States will also tax on an annual basis if you hold multiple properties but this is unlikely to affect you as a first home buyer within Australia. A more pleasant note is that to stimulate the housing economy some states will offer various cash grants to first home buyers. These can be as high as $15,000. This is a nationwide scheme but is subject to state legislation so check your state for any specific conditions. The city or town or district where the property is located will levy charges upon the property. If vacant land is purchased then the approval to erect an improvement – house or other building – will require a permit for which a charge is made. This can be in the high hundreds to low thousands unless, being in a more remote rural setting, it also requires access of roads, water, sewerage and power when the charges can rise sharply. One of the reasons for high land prices is that land being subdivided for housing is required to have well-constructed roads, water, sewerage, electricity, maybe also gas, laid on. However, annual rates to the council must cover the functioning and maintenance of these services. Naturally these will vary but could be between $1,000 - $3,000 per annum. Google ‘town or district name’ plus ‘rates and charges’. If your visit to Australia is intended to be long-term and you know for sure exactly which spot you want to live in then consider buying land first and then separately building your home. It could be advantageous tax wise. The real estate agencies in all states are usually linked franchises, but small, privately owned, firms are to be found in smaller towns. Real estate agents fees are directed towards the vendor and should not be a cost on the purchaser. Conveyancing is the legal transfer of ownership from the vendor to the purchaser. It is usually handled by a solicitor who is a member of the Law Society. In some states, certain conveyancers are registered who are not solicitors and these often have slightly lower charges. It is not unknown for solicitors to advertise as conveyancers. Solicitors sometimes also advertise under the section of ‘Conveyancing Kits’ in business directories. 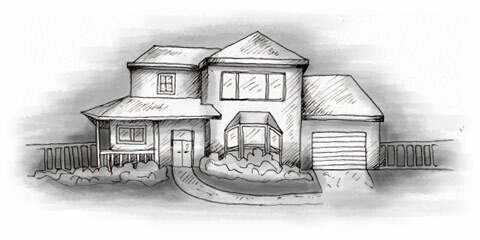 There are no set costs for conveyancing in most states and so there are variations. There is likely to be a relationship between cost of property and the fee but for a house in the range of $400,000 the buyer can expect to be charged $600 - $800. The vendor is required to use a different solicitor and will be charged a slightly lower fee also. On top of these, the purchaser will be billed for ‘outgoings and incidentals etc’ which might cover property searches, correspondence, photo-copying, stamping and can add hundreds or so to the bill. A large law firm will, almost certainly, charge more than a small, local solicitor. Always deal directly with a law firm within the state where the property lies. If you are purchasing property in a state other than where you reside, the firm you deal with is likely to engage another law firm within the state where the property is because of differing rules and legislation. A firm with branches in both states may be an option but get a firm quote first and be sure it covers ALL extras. Conveyancing is not like bringing an action against a company where the skill of a solicitor or barrister is of great importance. It is a “straight-forward, follow-the-steps, be thorough and careful” business. Because of this, an increasing number of people conduct their own conveyance matters, and very good kits are available which set out the steps and guide-lines, and also include the contracts and forms required. Be sure that the kit is produced within the appropriate state and is current. Savings of at least $400 or more can be made by using a kit. Please note that all details in this article are approximate. They can change at any time and checking government websites for more specific, up-to-date and detailed information is advised.